Key cutting denotes the action of making a new copy of key from an old one by shaping and sizing a blank key into the size and shape of the original. This action aims to create a spare key from an original. Key duplication can be done for all types of keys whether car keys, house keys, tubular keys skeleton keys or just regular keys. Locksmith Cardiff can create a duplicate key for you at reasonable prices. We also repair broken doors and windows from houses offices and cars, whether it’s a uPVC window or uPVC door our team of expertise can repair within the least time possible. Only professionals should make a new key because it is not a task for anyone. It requires skill and professionalism to make an exact copy of a key from an original. However, amateurs can make their private keys. Majority of home improvement shops sell cutting manual cutting machines that allow anyone to make a copy of their key. Nevertheless, one may require a duplicate of complex keys that can only be done by trained personnel, who can make one with accuracy and proficiency.Avoid self-proclaimed experts and choose knows personnel to handle multiple key duplication if you want accurate results. There are different types of key shaping tools in the market today. At locksmith Cardiff, we have stocked the best machines to offer nothing but the best services to our clients. There is the primary key duplicating machine, the manual device, which as its name suggests, works manually. The specialist traces the original keys’ lines to cut a new key into its shape.We also have the automatic and semi-automatic key machines, which work almost independently from human assistance. These machines work simultaneously, that is, as they automatically trace the lines on the original key, they cut the blank key into the original’s shape and design. There are also laser machines that use light beams to cut a new key instead of blades in addition to code machine that cut a new key from the code loaded on the device. 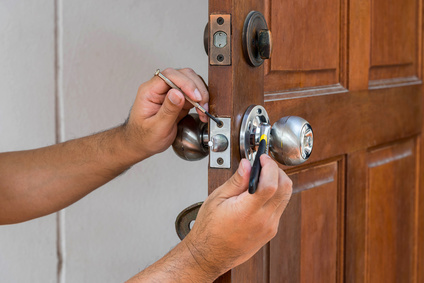 Cardiff Locksmith also specializes in lock repair for doors. The prices we offer for both window and door repairs are affordable depending on the damage on your premises. The upvc repairs that we provide are environmentally friendly, during the winter or cool summers, the material can keep enough warmth inside the house. This feature will help you a great deal in saving on energy cost to warm the house and leave fewer carbon effects on you. Furthermore, the uPVC material does not easily catch fire which keeps the safety on the higher side.UPVC windows and door help to keep outside noise at bay since the material is thick and does not allow sound to pass through quickly. In addition to safety, uPVC double glazing material was difficult to break, therefore, no authorized access into your house. We also provide different styles for doors and double glazed windows to match our home décor. Patio door and window repairs are commonly done with using UPVC, the sliding mechanism, hinges or doorknobs can break bend or fail to work entirely. Repairs can be done right at your doorstep within the least time possible. We take a lot of care whether on a window or door repairs to ensure it is done to absolute perfection. Our team carries all tools in the van to make sure that all your problems are fixed with one visit. Our key duplicating services are also offered by perfection and accuracy to avoid further inconveniences. upvc repair Cardiff offers nothing but the best of customer service at reasonable prices and very low call-out fee.